STATEWIDE — California’s Department of Fish and Wildlife (DFW) announced it will host five public workshops, starting Dec. 2, up and down the coast to discuss groundfish management regulation for 2017 and 2018. 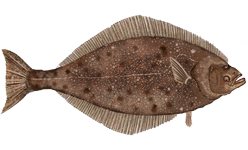 Officials seek to receive input from stakeholders on potential changes to commercial and recreational groundfish fishery management during the next three years. The fifth and final meeting will be held in Los Alamitos on Jan. 7, 2016. Each meeting begins at 5 p.m.
DFW staff will discuss bag limits, conservation areas and season dates, among other groundfish management measures. Several agencies are expected to help develop management regulations for the groundfish fishery, including DFW, Fish and Game Commission, National Marine Fisheries Services and Pacific Fishery Management Council. Workshops will begin in Northern California on Dec. 2; the first workshop will be held at Eureka Public Marina in Eureka, followed by Fort Bragg on Dec. 3 and Sausalito on Dec. 9. Monterey will host Central California’s only workshop on Jan. 6, 2016; DFW will hold the final workshop on Jan. 7, 2016 at the California Fish and Wildlife Office, 4665 Lampson Ave., Suite C, Los Alamitos.